But... Guess what? I found a bubble envelope in my mailbox just a week after I found out I won! Jolse mailed it on July 7th using K-Packet and I got it on July 17th! That's impressive! Yay! Canada Post is finally going through its backlog! Okay, rave over. 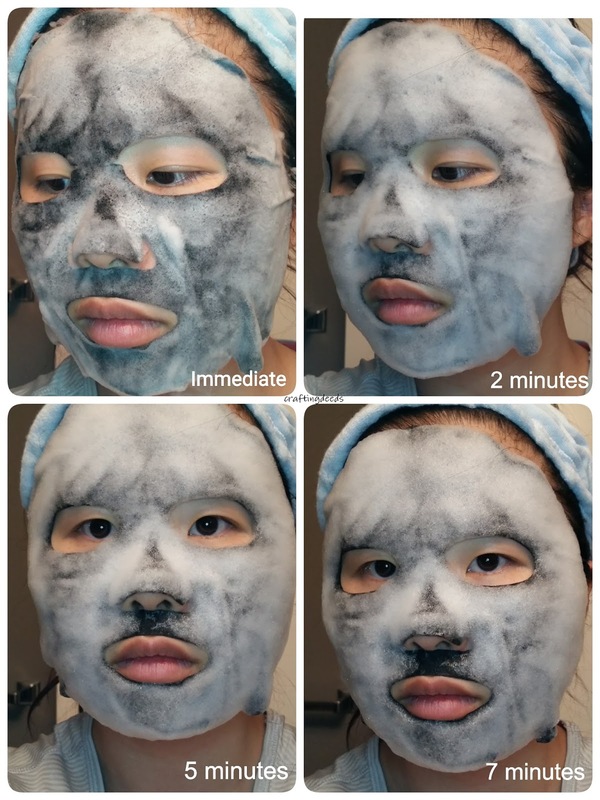 Let's get to the review of the mask itself. 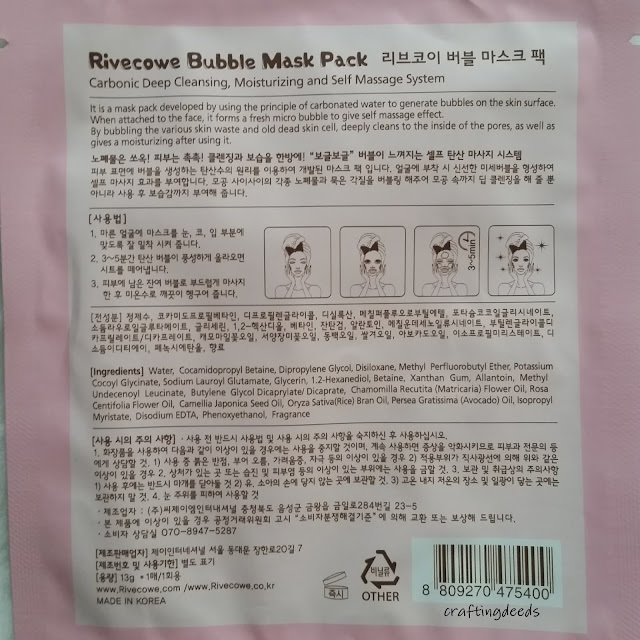 The instruction for the masks was a little confusing as I am not sure if I am supposed to use it on a clean face or not. So I looked up on Jolse and found out it's supposed to remove even makeup! 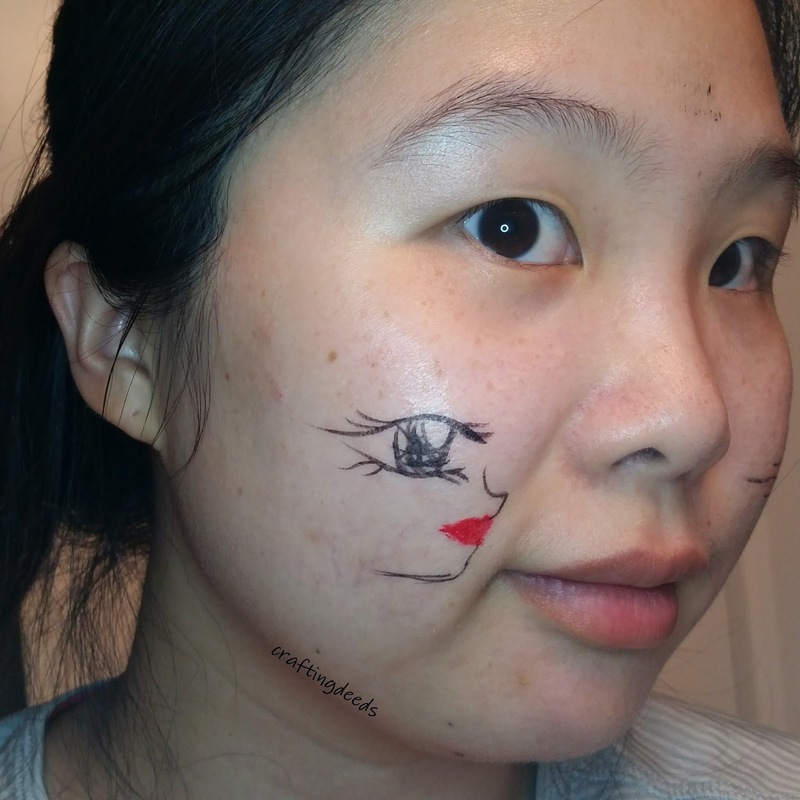 So I decided to draw on my face with some liners and see how it goes. I actually did two days of it so there will pictures from both days. Before I go any further, I just want to make a comment on the scent of the product. Which is actually a light fresh floral scent that's quite nice. Not quite apple blossom but pretty close. 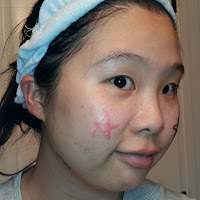 I used Etude House's Play 101 stick from the Pink Cherry Blossom set, they are the #49 and Pink Bonbon. We will see how well it removes the liners. 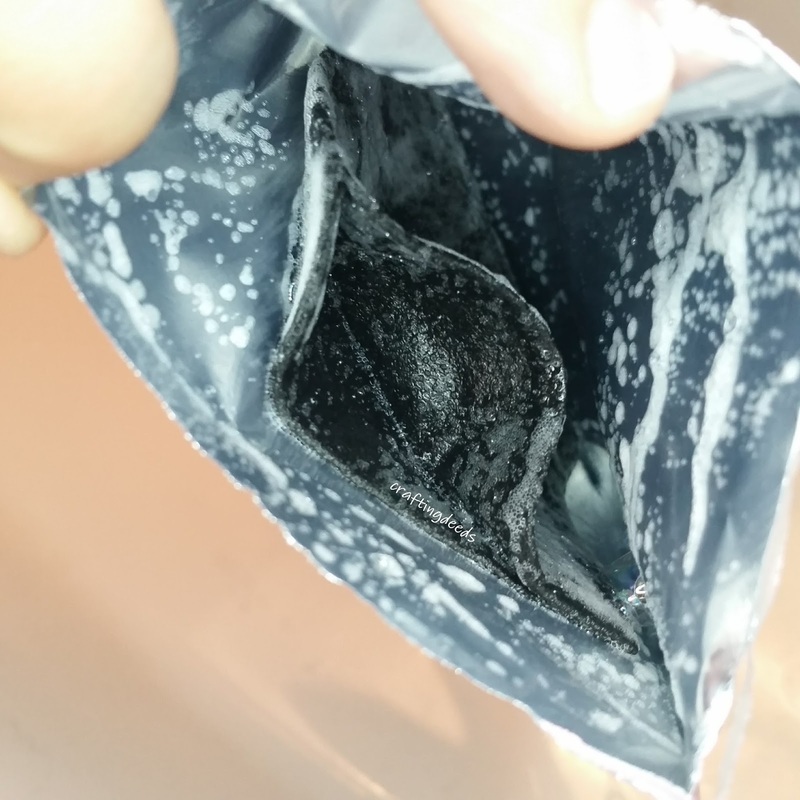 This is a black mask that started to bubble immediately upon opening of the package. 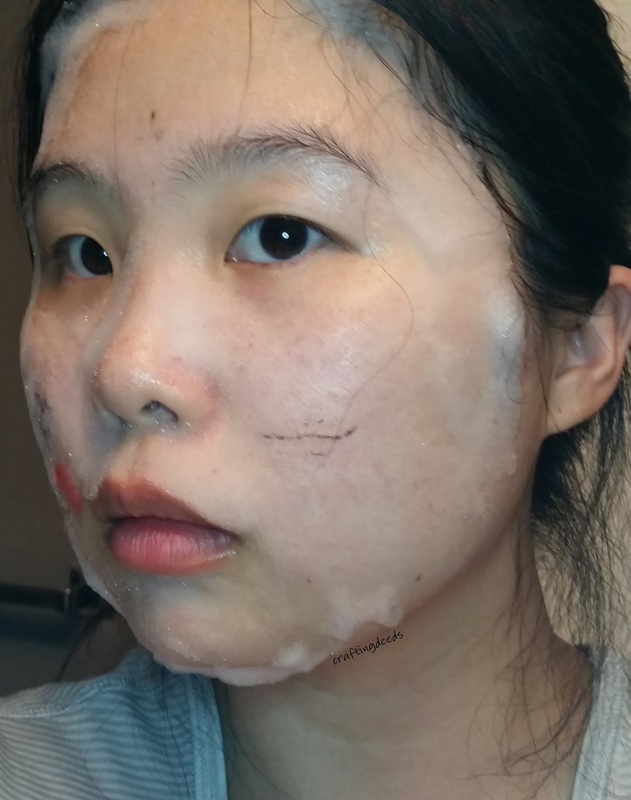 As I was taking the above photo, I can tell it's starting to really bubble up and had to rush to get it on my face. It was an interesting experience. I can feel and hear the bubbles forming. Then about the 5 minute mark I could feel it starting to group together and then bursting. 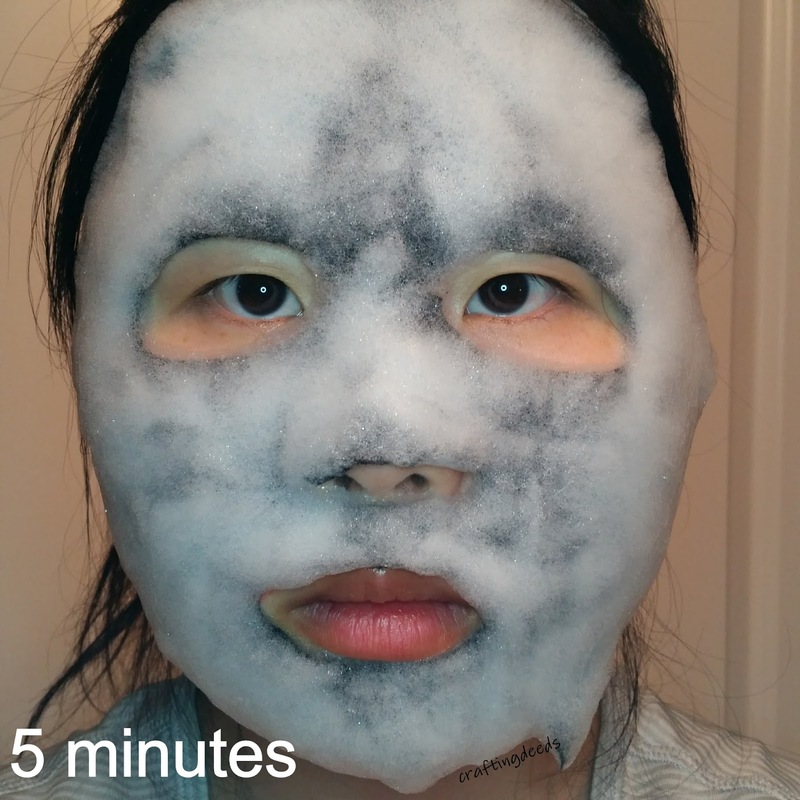 I was busy taking videos and pictures that I didn't take the mask off until past 7 minutes, which is well past the recommended 3-5 minutes. Mark my surprise when I washed my face with just water! It all came off! Completely clean!!! I am so surprised!!!! Gah! This works well!! 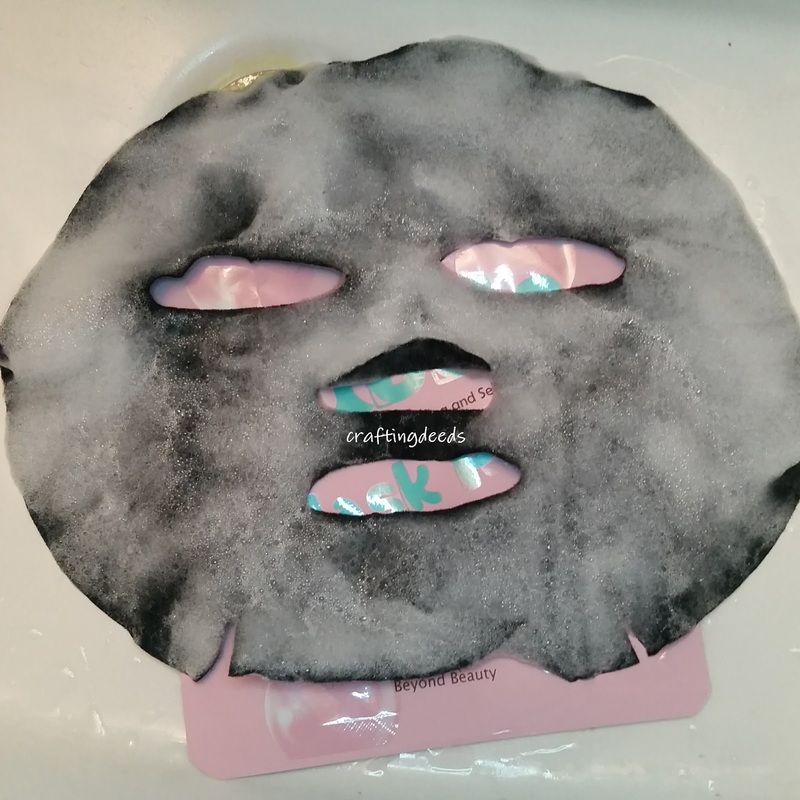 It was pretty easy to wash off the bubble mask as it made my skin feel slippery. 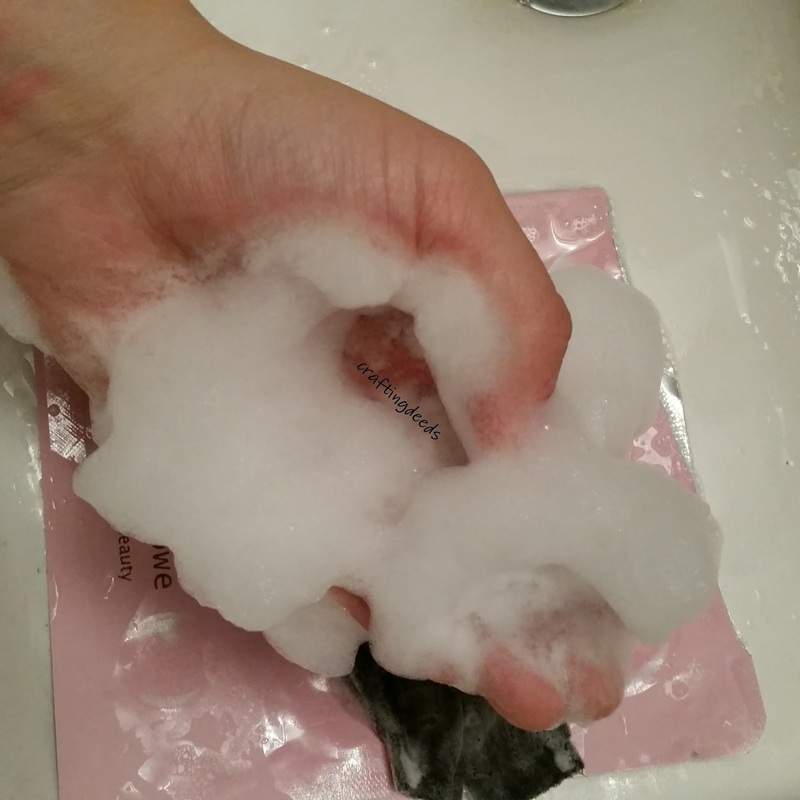 I splashed water on areas that felt slippery and it rinsed off easily. However, my face felt a bit tight afterwards. I thought perhaps it was due to the fact that I had it on for too long and didn't wash my face immediately after removing it. 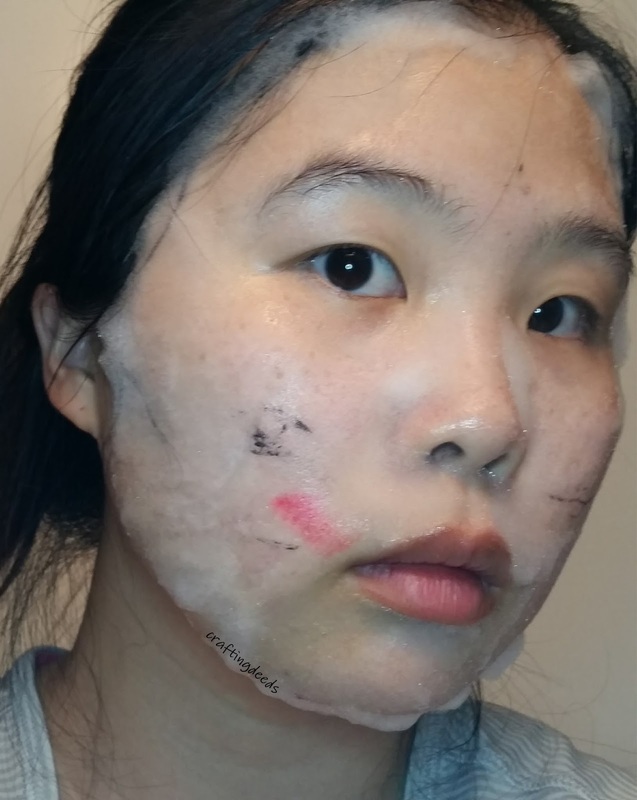 Plus, I wanted to see how it do against waterproof makeup, so I decided to give it another try. 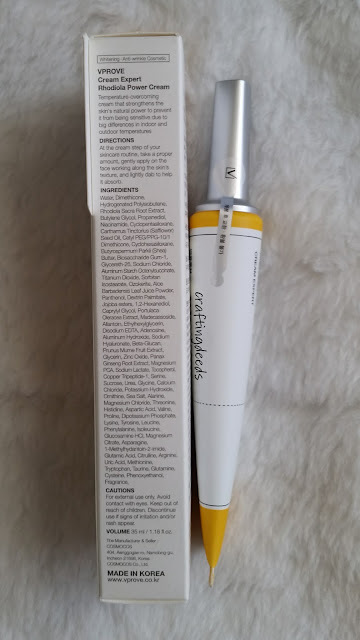 For day 2, I thought I would follow the instructions of only using it for maximum of 5 minutes and see how it goes against waterproof eyeliner. Since I don't want the mask go near my eyes, I drew on my chubby cheeks. There's ample enough canvas there. 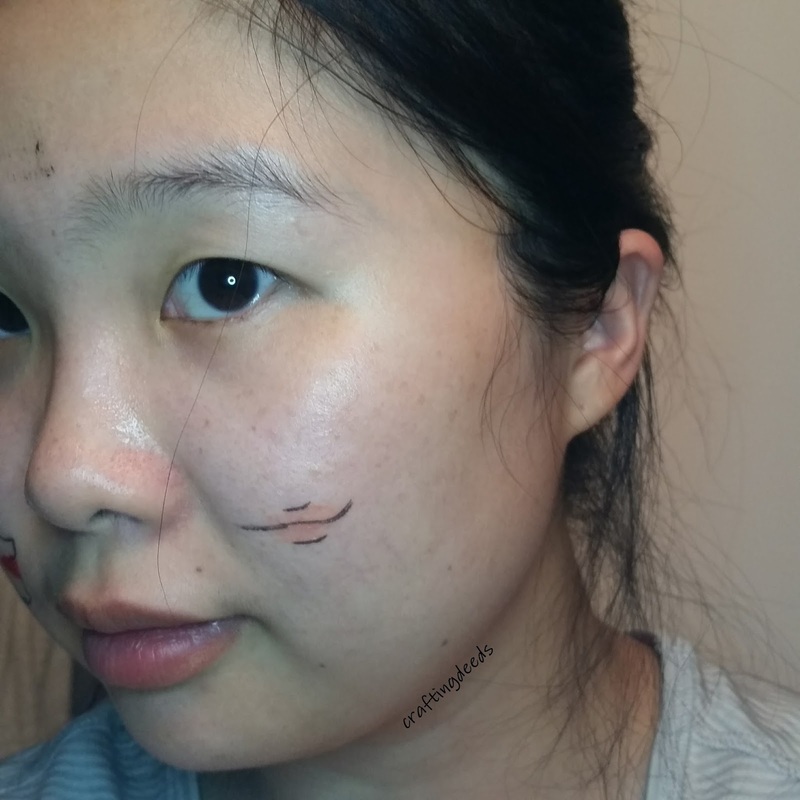 😃 I used Kiss Me eyeliner, Peripera Peri's Ink Velvet and Aritaum Volume Up Oil Tint. I thought I used the waterproof eyeliner but it looks like I used the regular version instead. T__T Too late now but let's proceed to see how it did. Just upon removal, I can see some of the eyeliner already came off and the Ink Velvet was barely there. 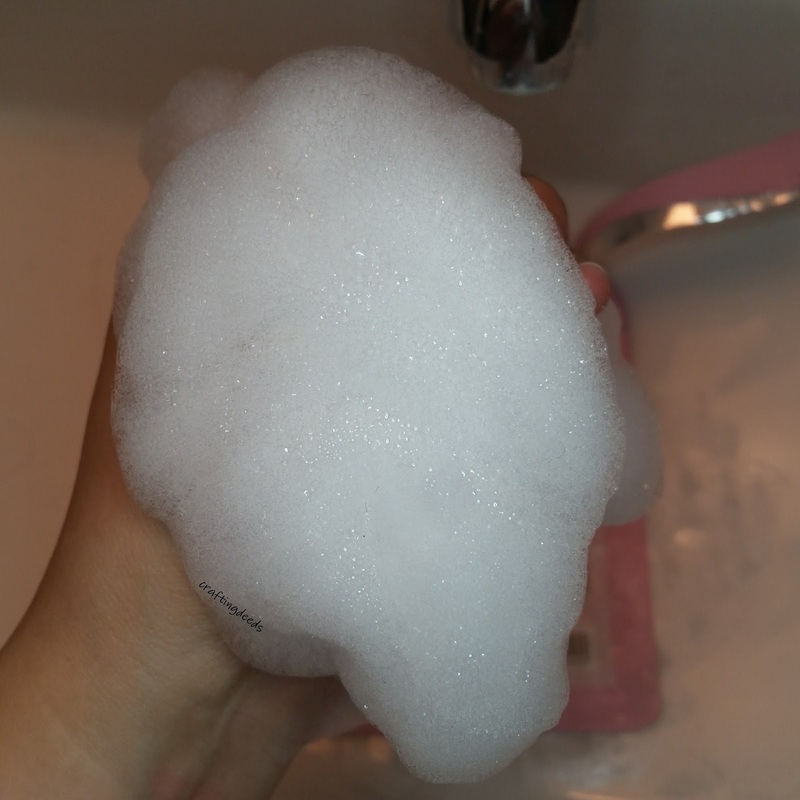 I washed my face immediately and almost everything came off. 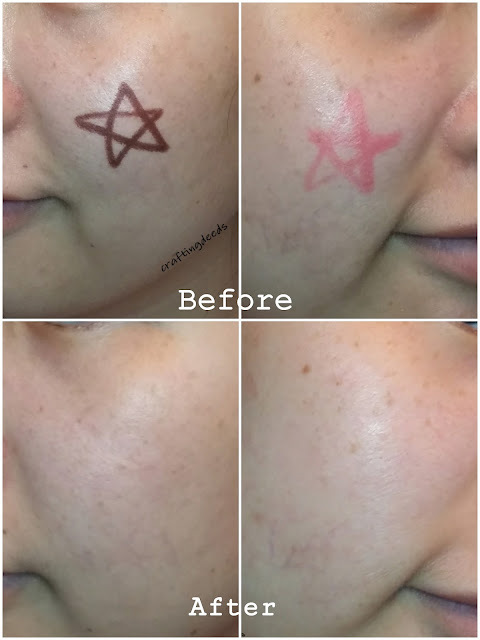 I was very surprised the Volume Up tint didn't completely come off as I would have thought the Ink Velvet would have won the battle. Interestingly, when I was washing off the bubbles from the mask, I can see a tinge of red from the Volume Up tint. Look at how well it removed everything, except for that little tinge of red from the Volume Up tint. However, even though I took it off within 5 minutes and washed my face immediately, my face still felt dry and taught after using the mask. 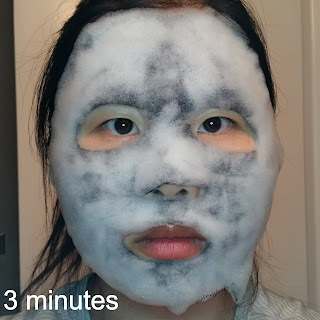 Granted it is not as bad as day 1, but it definitely is not a moisturizing mask. 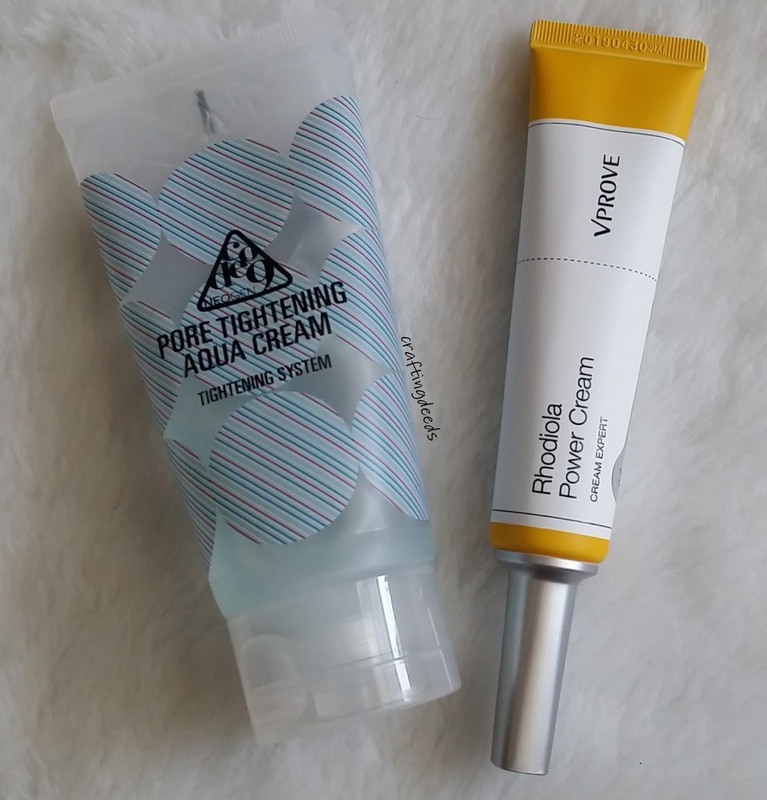 I had to add extra boost of hydration in my routine to counter this dryness. Considering I have combination skin that tend to be dry, this is not ideal for people with dry skin. Overall, I think this is a fun mask to play with. It has the skintertainment aspect with the bubbles, and it is good at removing makeup and cleansing the skin. But because it made my skin feel dry, I don't think I would purchase this. 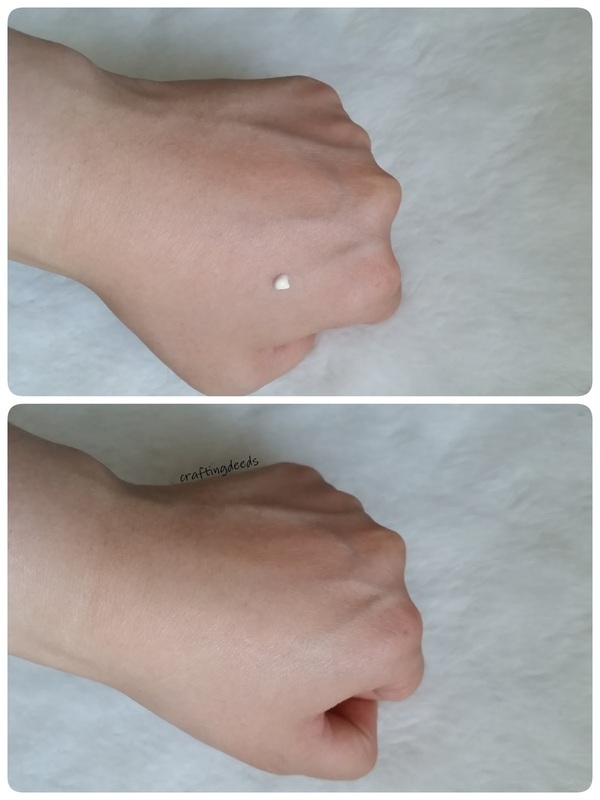 Story time, I purchased the A'Pieu Four-fect Cover Concealer (YoonCharMi collection) back in November 2016. But thanks to CBSA and Canada Post, I didn't receive it till well into 2017. 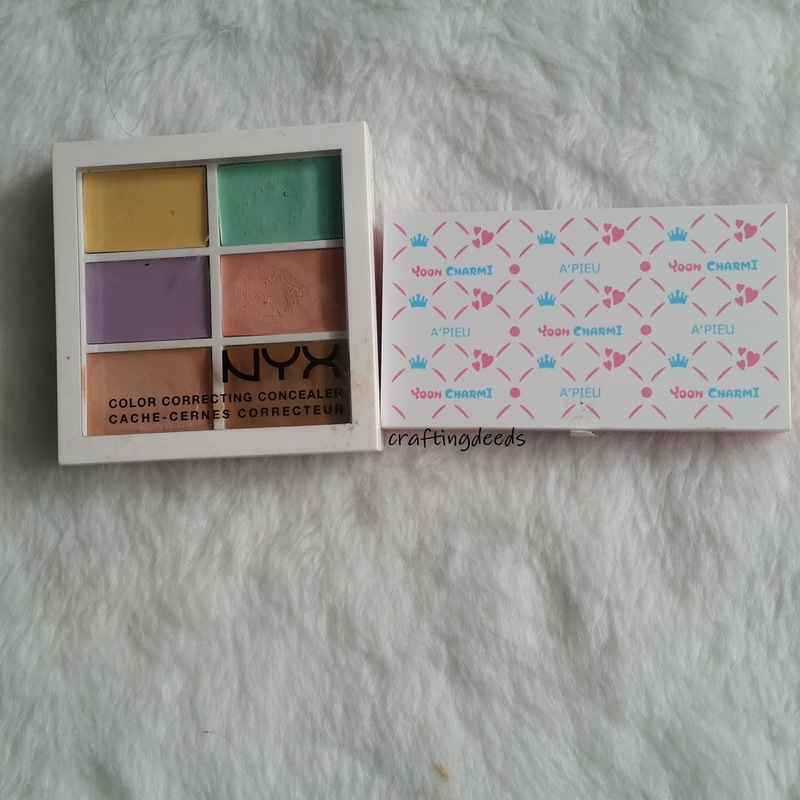 I needed a colour correcting palette in the mean time so I picked up a NYX colour correcting concealer palette. 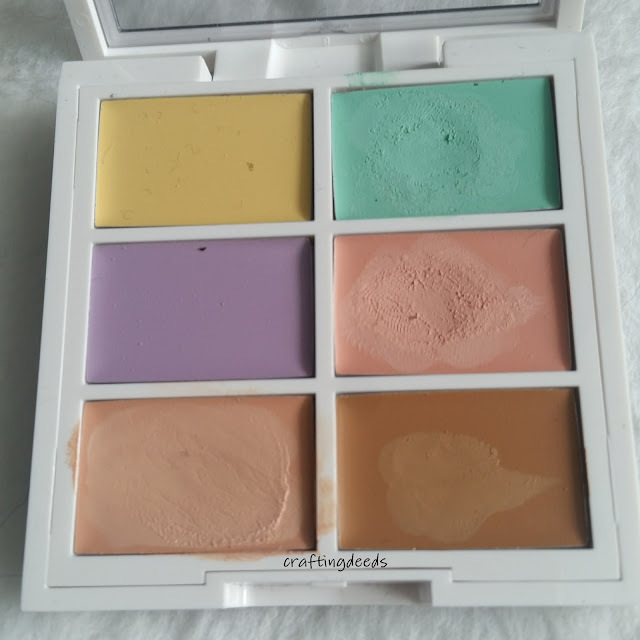 I have played with both palette and think this would make a great comparison post! 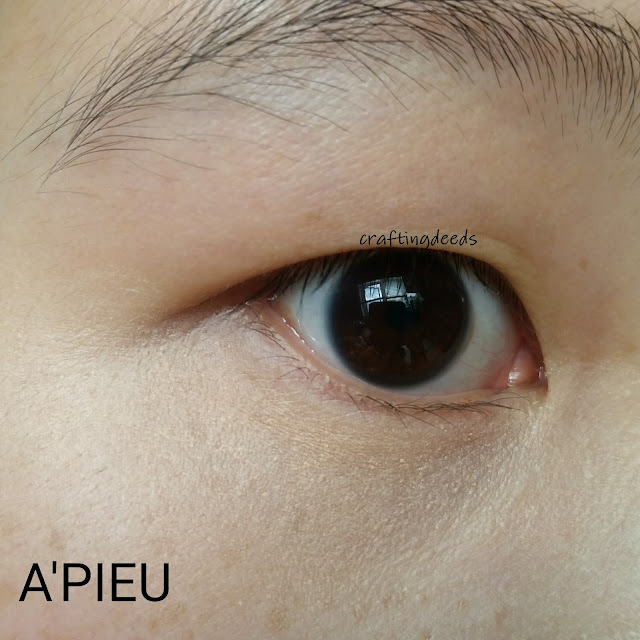 The A'Pieu palette was roughly US$8.10 + shipping, which I think is around C$12+shipping, for about 6g of product and only four colours. Whereas the NYX palette is about C$17 including GST, for 9g of products and six colours. I should note that the A'Pieu palette is a special edition and is no longer on sale. 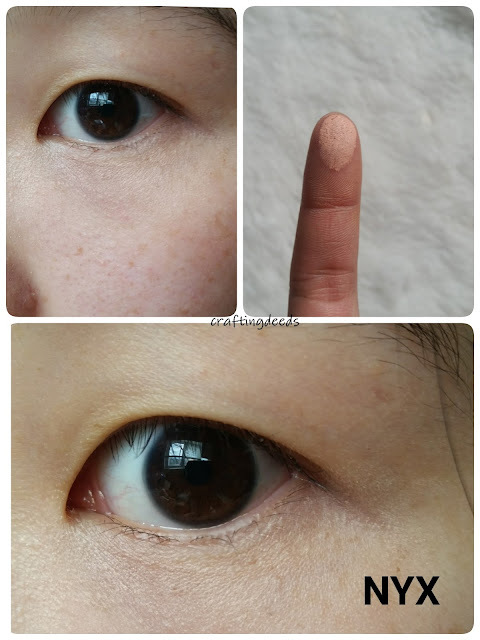 However, I think the normal version, which is called Multi Correcting Concealer, is still available. 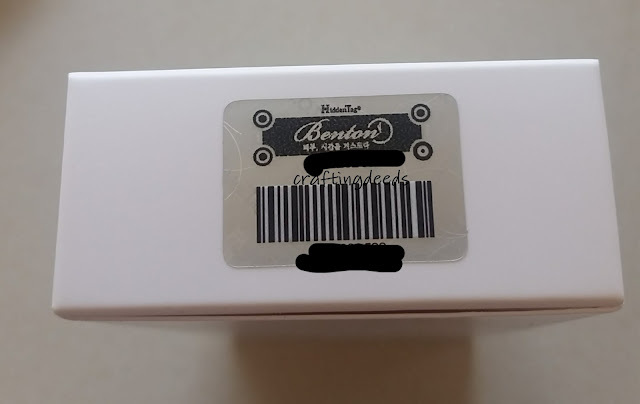 Moving onto the actual products. The two products are of different textures/consistency. 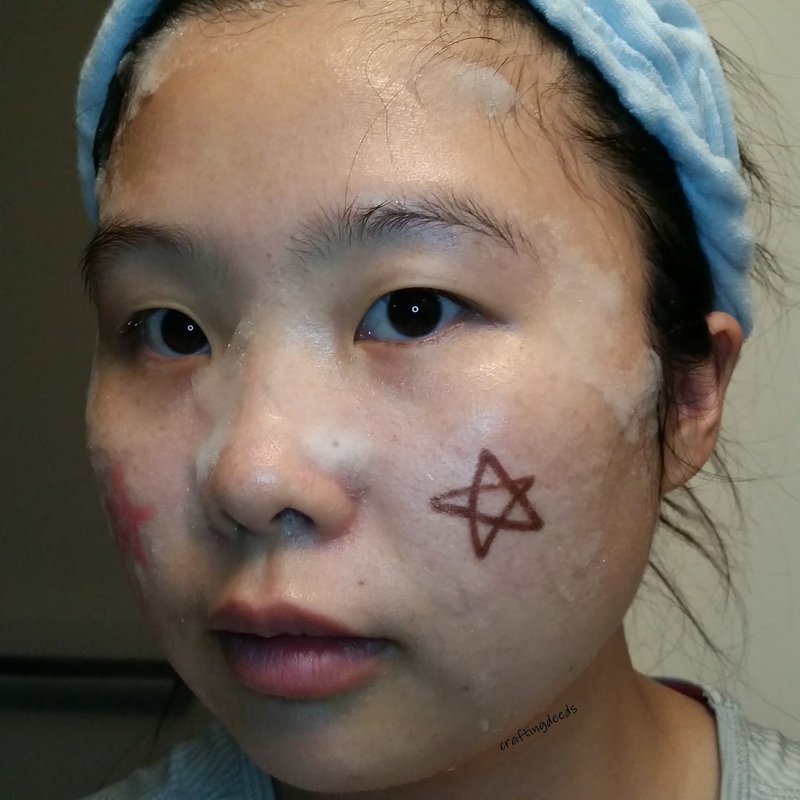 The NYX is more waxy, so it requires body heat to warm it up before application. It doesn't really work with a brush and can't be spread very easily. 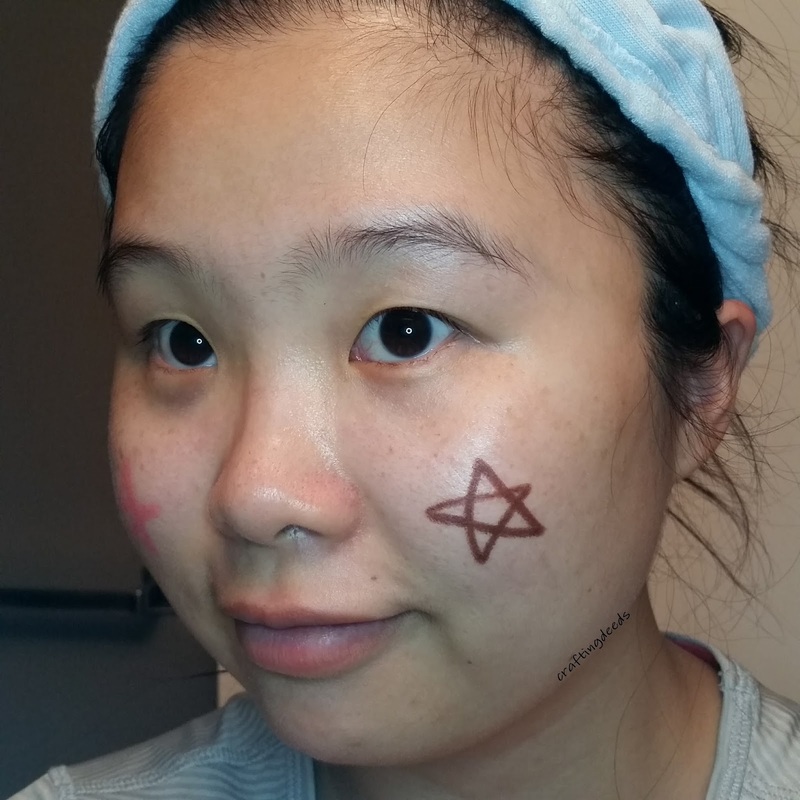 When I have it on, I feel like I can see exactly where I applied it despite blending it as much as I can. Whereas the A'Pieu palette is very creamy and blends easily. However, just looking at the two palettes, A'Pieu is lighter in colour in comparison to NYX. 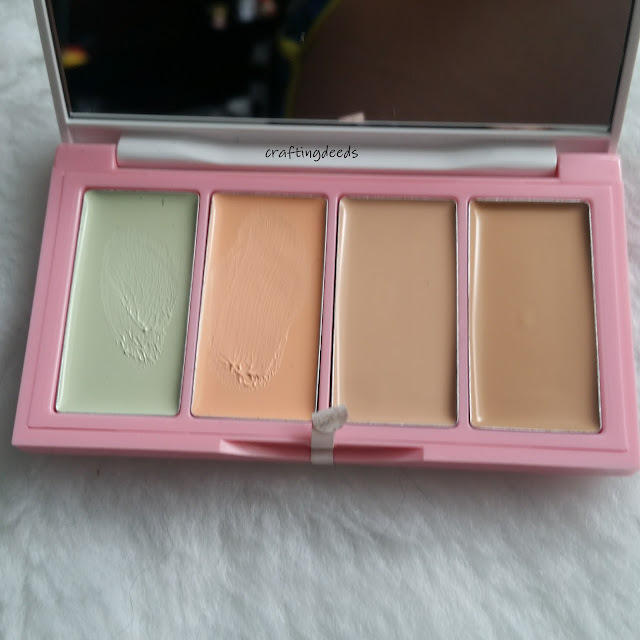 I only use two of the colours for both palette, the salmon orange for the dark circles, and the green for redness. So I will only discuss these two colours. Urg my dark circles are so bad! 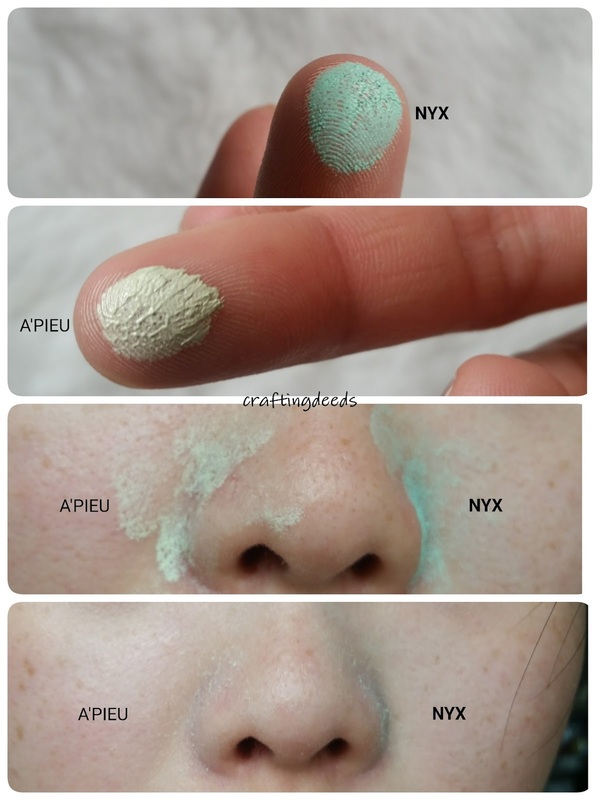 But can you see how the NYX is way better at covering up the dark circle than the A'Pieu? I was surprised when I saw the photos because I quite liked the texture of A'Pieu. I really thought it was doing a much better job than the NYX but I guess I was wrong. 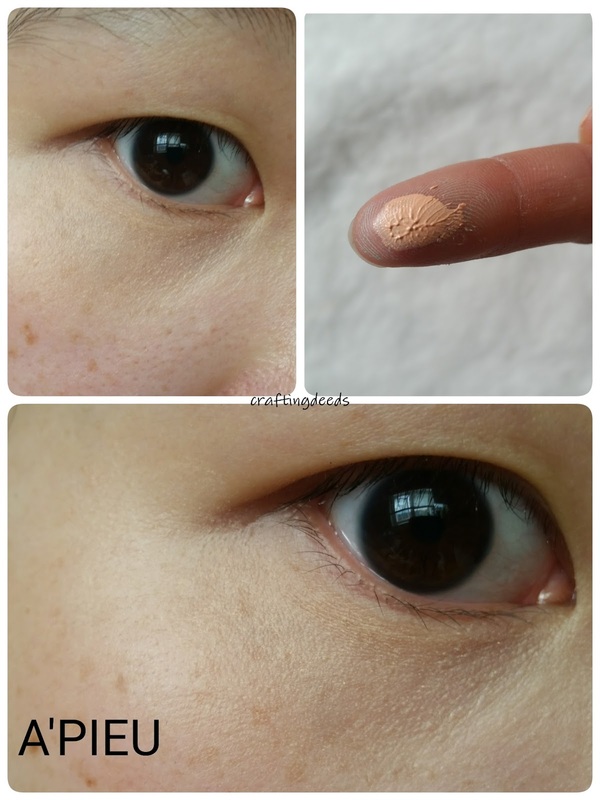 Here's a closeup of the NYX, can you see the colour difference between my skin and the concealer? It bothers me a little bit because it feels like it's not blending in correctly. The A'Pieu is blending in a little bit better on the close up but you can still see the colour difference. 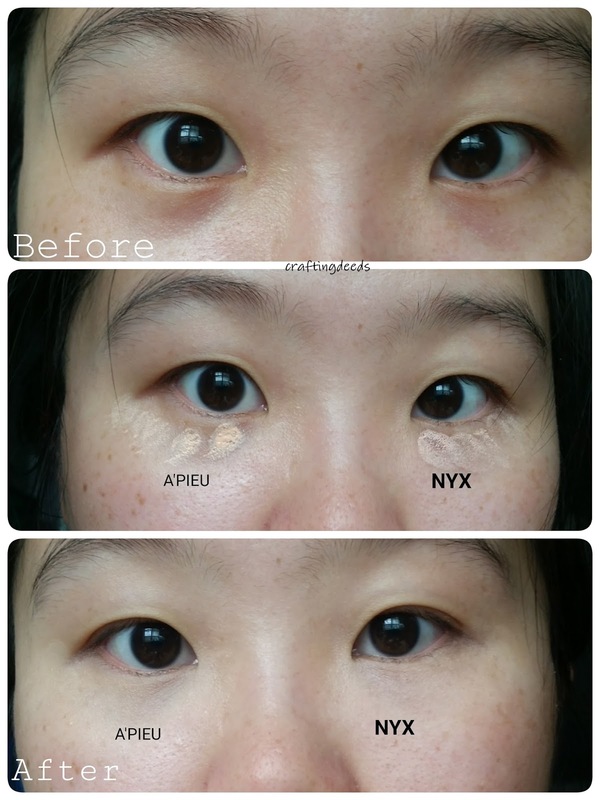 Comparing the two together, and the A'Pieu looks so yellow compared to NYX. Excuse the flaky nose!! 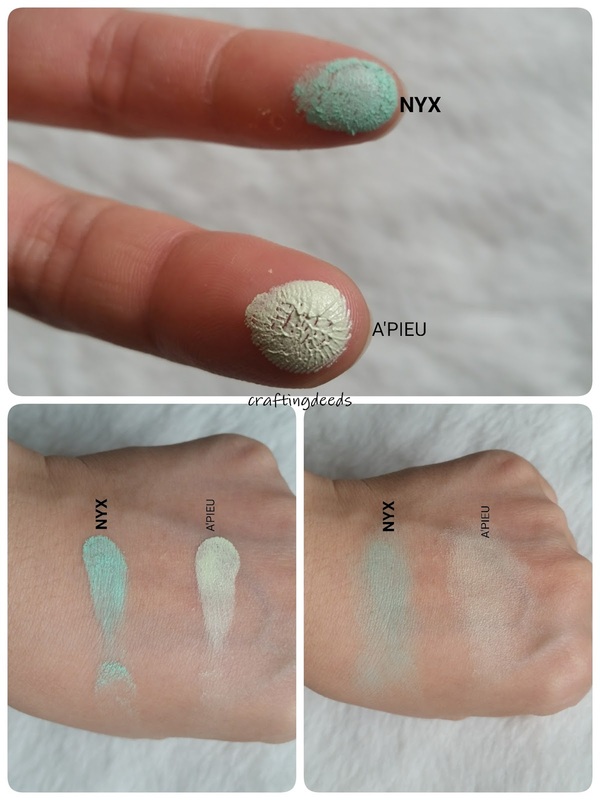 I didn't realize there was so much flakes on there -___- Anyways, did you notice the NYX is pretty green even though I blended it out. This is an issue I have with the green concealer. No matter I blend it out, the green keeps on showing up. Overall, I think both palettes has their pros and cons. 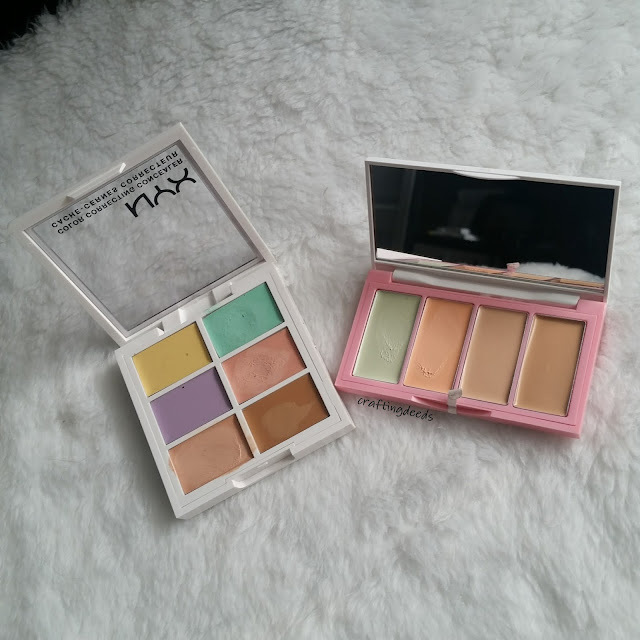 The NYX palette is better pigmented and provides better coverage. But its texture makes it difficult to blend out. Whereas the A'Pieu has a creamier texture and easier to blend out. 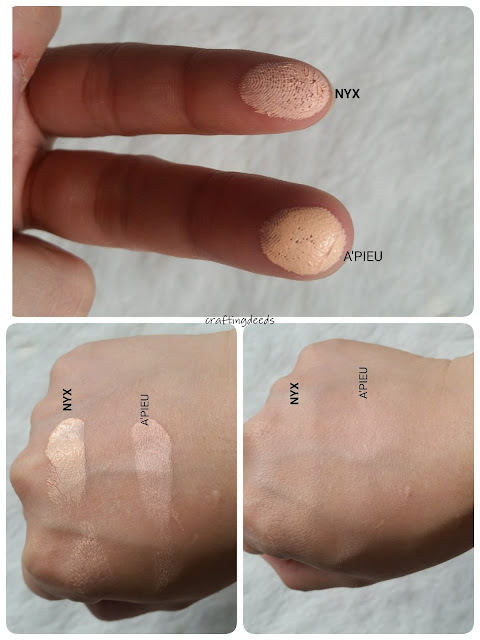 However, its coverage is really meh compared to NYX. There's no clear winner in this battle, it just depends on your preferences. 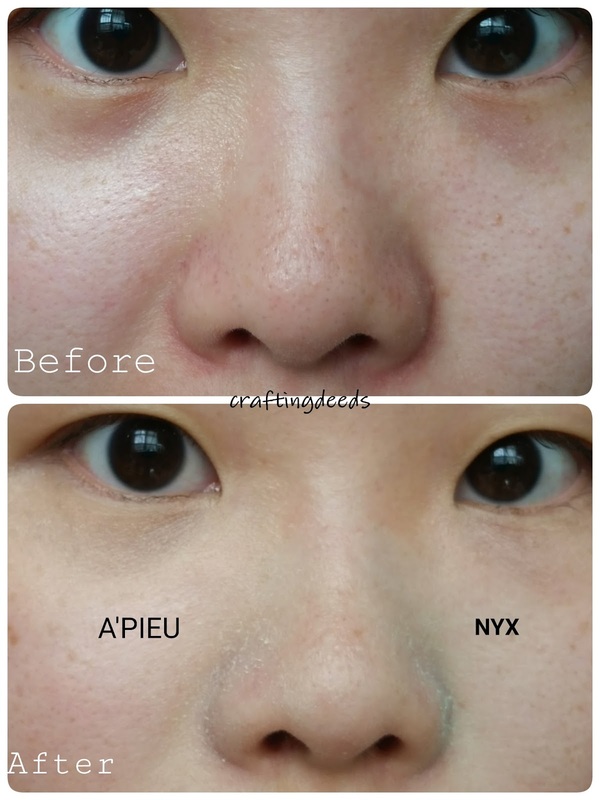 I would definitely use the NYX salmon orange for my dark circles and the A'Pieu for redness as I don't need much coverage on those. The cream comes in a tube with a long nozzle, which allows for sanitary dispersion of cream each time. There is 35ml in each tube, and it retails for roughly US$18 on Jolse. You may be like me, and think 35ml is too little. But trust me, a little goes a long way. According to the CosDNA analysis, there isn't much triggers. The biggest trigger is the Tocopherol, with the level of 2 for acne trigger and irritant. 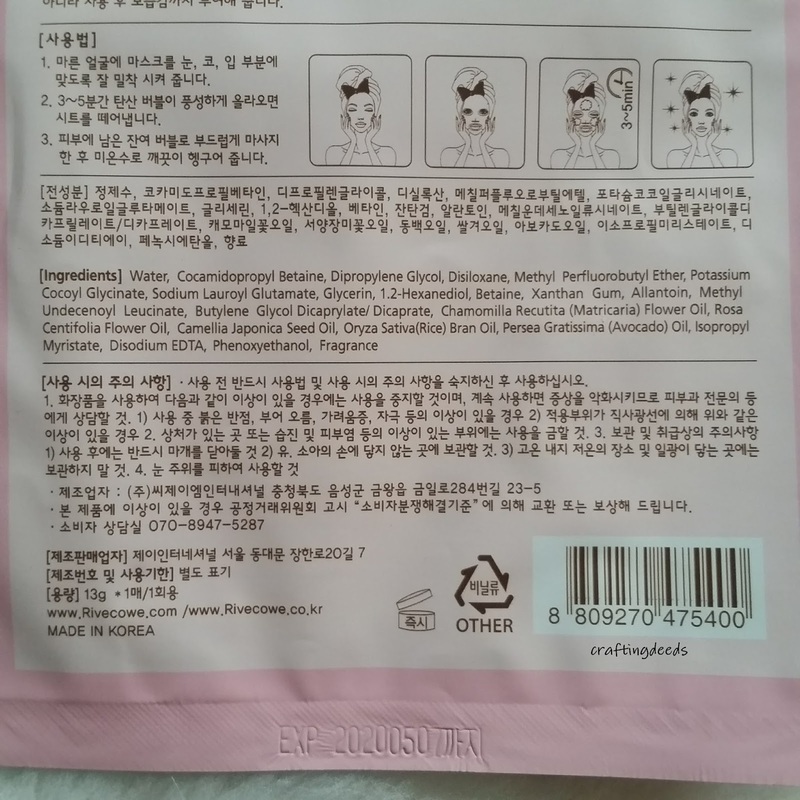 There are other ingredients, such as Sodium Lactate and Phenoxyethanol, has a level 4 for safety. But I think this cream should be okay for sensitive skin. If you have read my blog before, then you know how important fragrance in products are to me. I am not going to lie, I am confused regarding my feelings to this cream. Let me explain... When I smell it out of the tube, it smells like wood chips and men's cologne to me. When it goes on my face, I can smell it for a good 10 minutes before the scent dissipate. I can deal with the scent, just don't like the fact that I kind of smells like men's cologne. Then.. 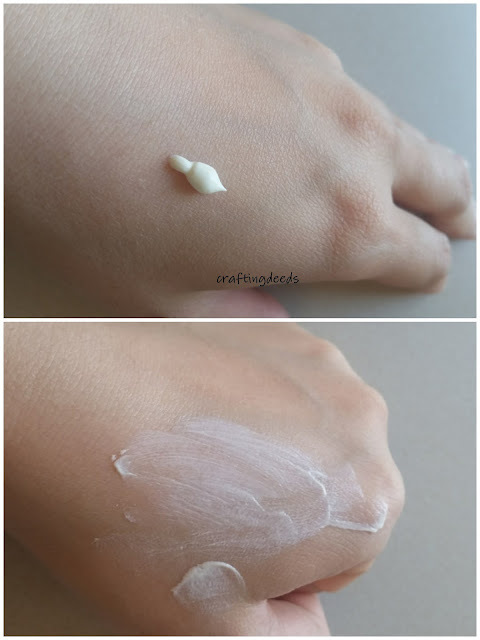 I swatched it on the back of my hand and I can smell floral undertones to this cream. WHAT?! 😖 As time passes, I keep sniffing my hand. The scent still lingers, but much lighter than the initial application and I can definitely smell the floral notes. So this cream has a confusing scent.. Hahaha. I don't let it bother me since it's becomes very light within 10 -15 minutes. You shouldn't either unless you really dislike the scent. The cream is off white and I would say normal kind of cream texture. Does that make any sense? 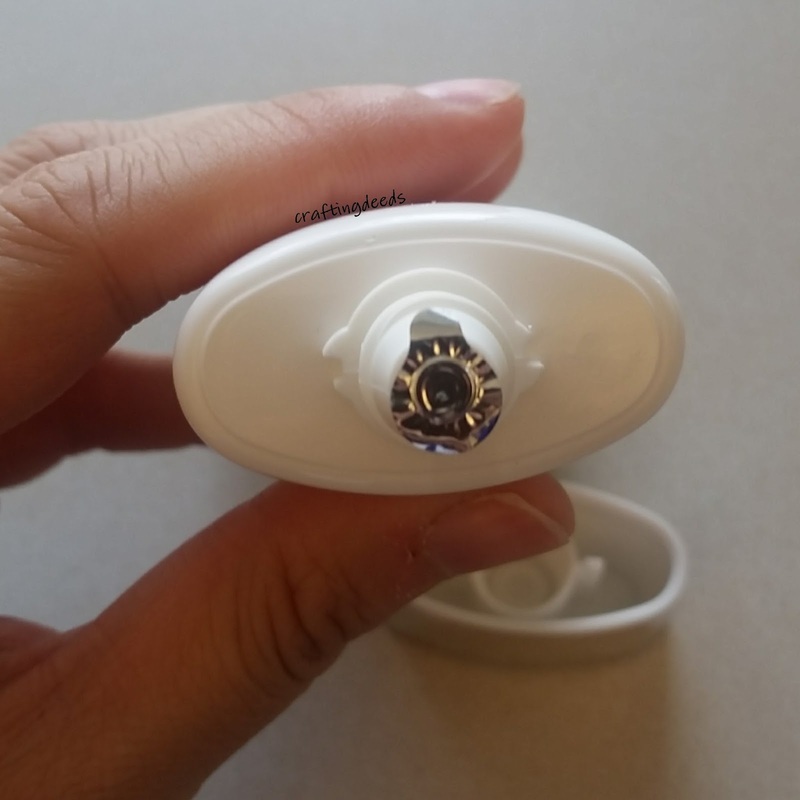 It's cream but not very thick, because otherwise it can't pass through that tiny little nozzle. It spreads beautifully. Remember how I said a little goes a long way? Yeah. You really don't need much for this cream. 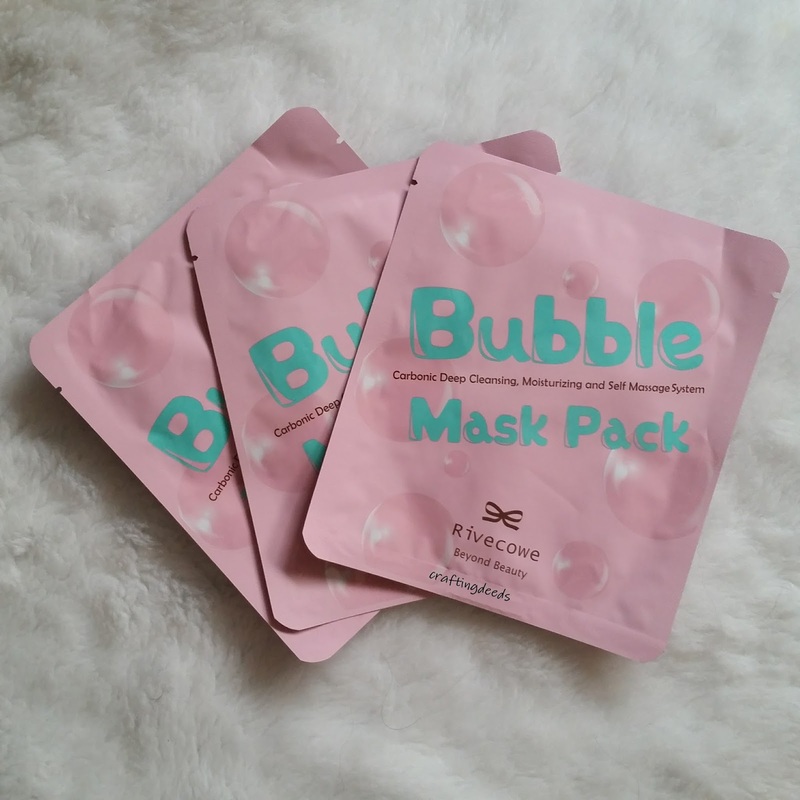 I use about a pea sized and it was sufficient for my chubby face. So the 35ml tube should be sufficient for a month's usage as I think this is more of a day cream. Why is it a day cream? 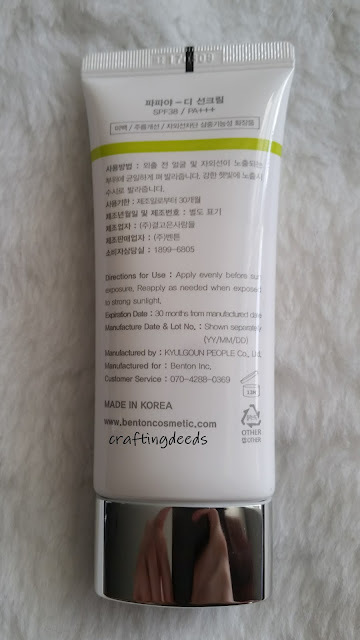 Well, the cream is advertised to be a temperature-overcoming cream that strengthen's the skin's power, preventing it from becoming sensitive from the changes from indoor and outdoor temperatures. 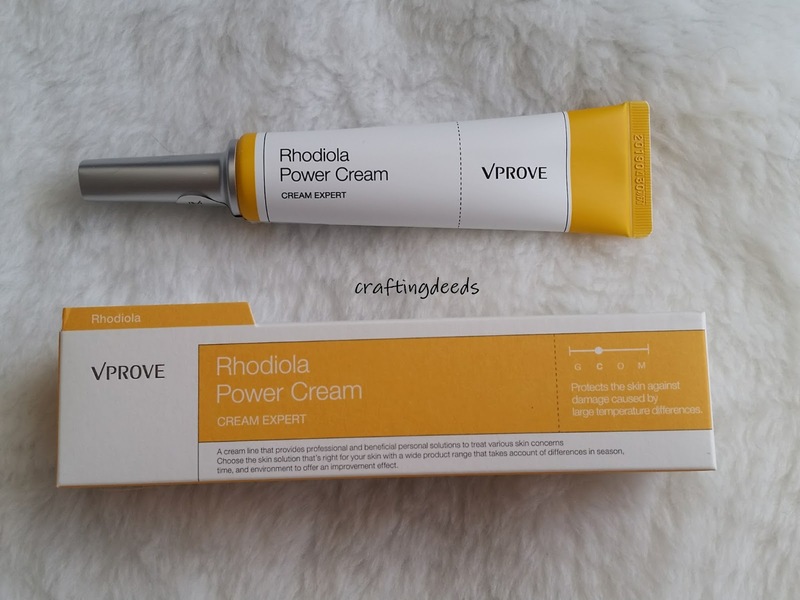 I was sold on this claim and was super excited for this cream so I can test it against the super cold and dry AB weather. But alas, I got this in June, and missed my chance to test it against the cold weather. Luckily, for the cream testing not so much for me, we have been having and continue to have a heat wave in Cowtown. 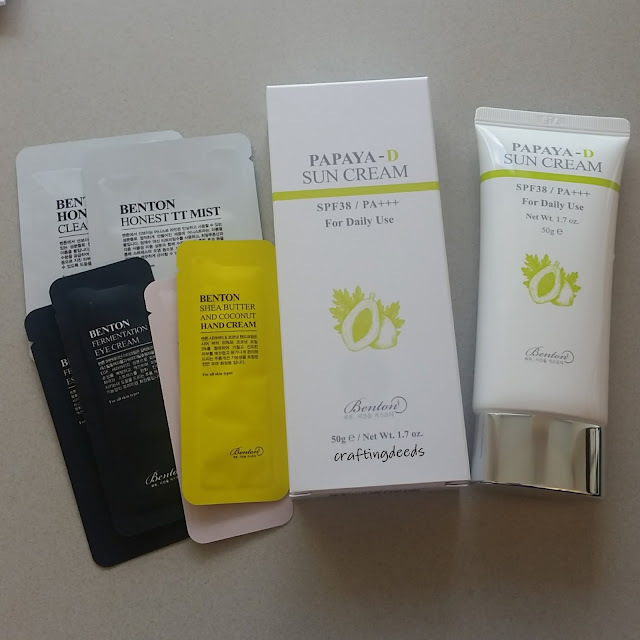 (Great for Stampede but gah for someone who lives with no AC) So the cream is being tested against the strong sun and dry heat instead of the minus 20C weather. But I digress. 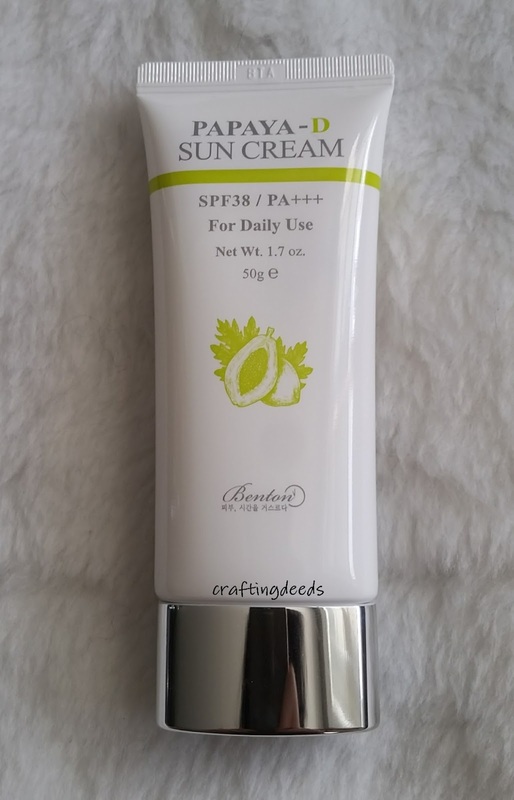 This is a day cream, and it's kind of self explanatory now. 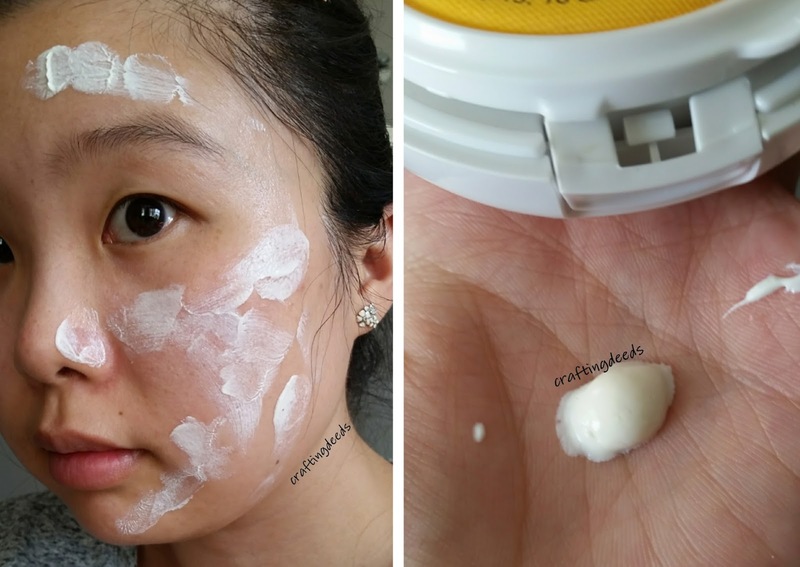 Since it's unlikely you will go outside after doing your night routine, so the cream would be used before you head out the door in the morning. As for the performance, well... First of all, I have to say I LOVE the cream. Not for its performance regarding the temperature difference but for its ability to tone down stickiness! 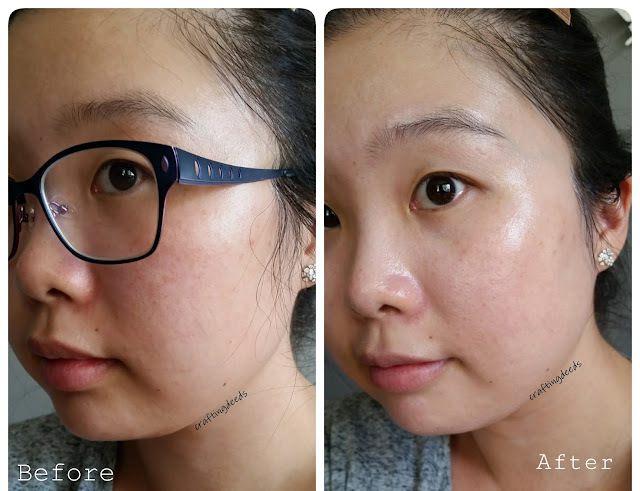 I used this as the last step in my routine, and let me tell you, it's amazing! 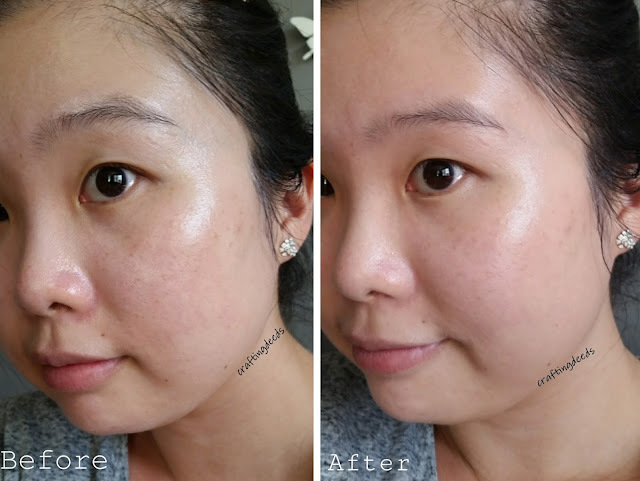 My skin tend to be a bit dewy and little sticky from all the serums I use, especially from the Neogen Code9 Pore Tightening Aqua Cream. 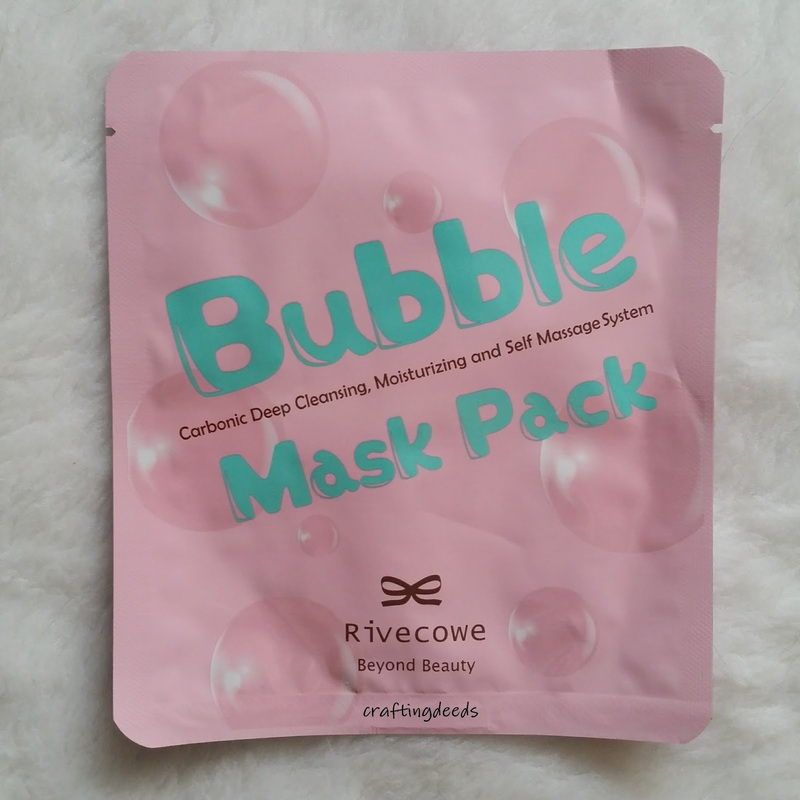 It makes my skin dewy and moisturized, but it does make my skin feel a bit sticky and takes a while to sink in. 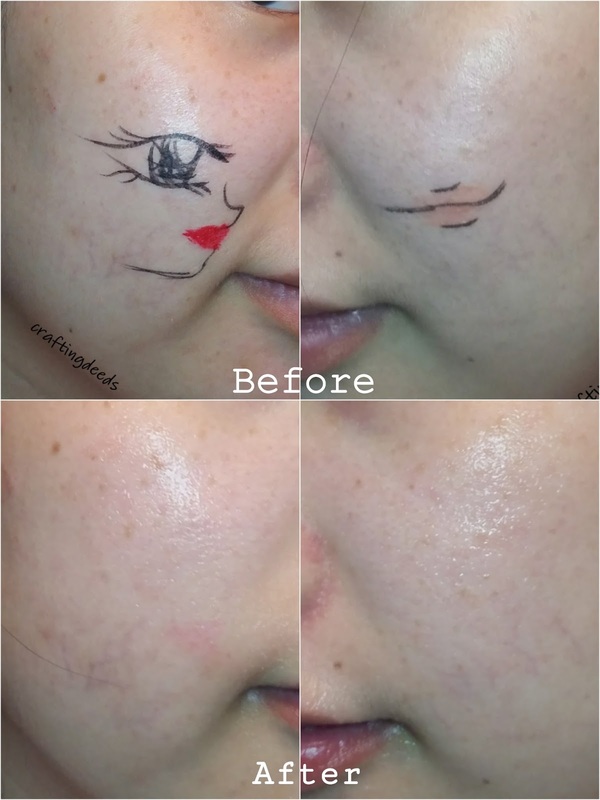 But ooooh let me tell you, I put on just a pea sized of the VPROVE cream, and bam! All stickiness is gone! 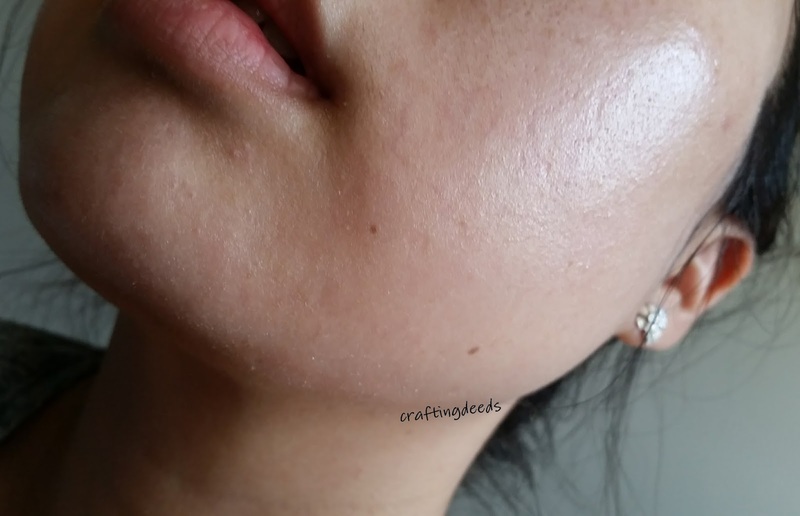 My skin feels cool and "dry" and I can touch my skin without feeling like I have rubbed off some of the Neogen cream. 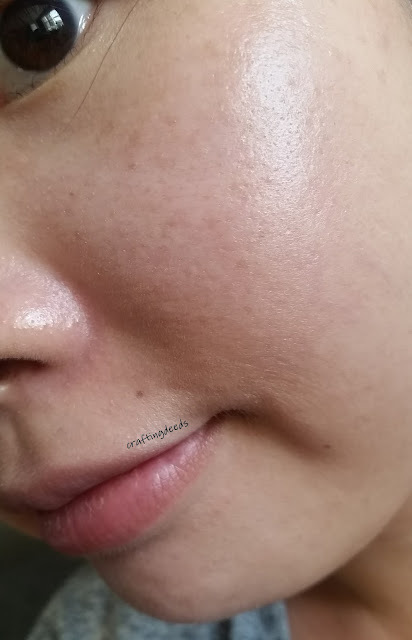 GAW I love the VPROVE cream for this factor alone! 😍😍😍 This is also how I know the pea sized portion is sufficient for my chubby face! 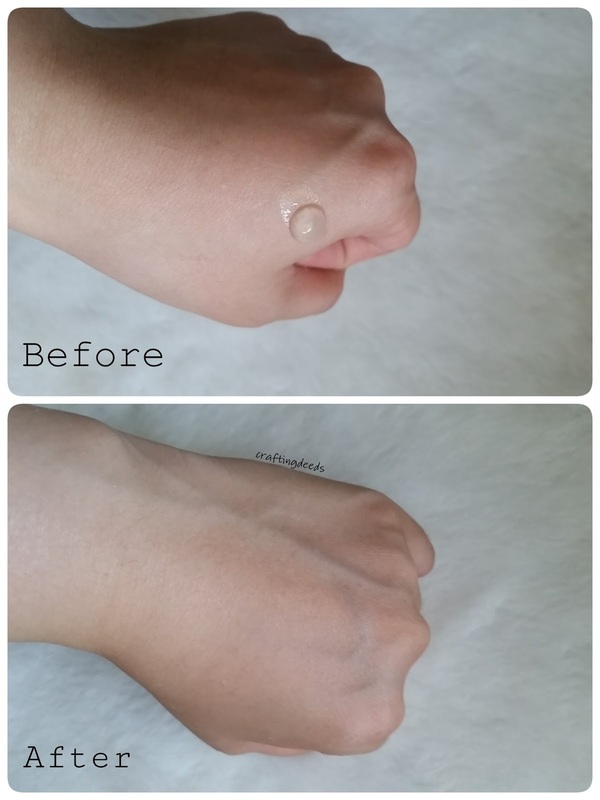 No stickiness anywhere with just a pea sized portion of the VPROVE cream. As for the temperature-overcoming claim, I think it's definitely true! 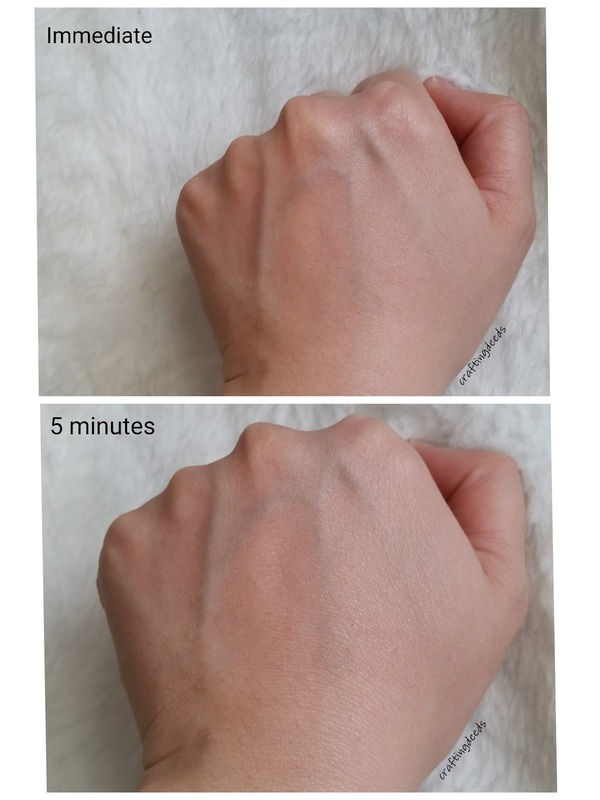 My face feels cooler to the touch and it's very evident on the swatch on back of my hand. 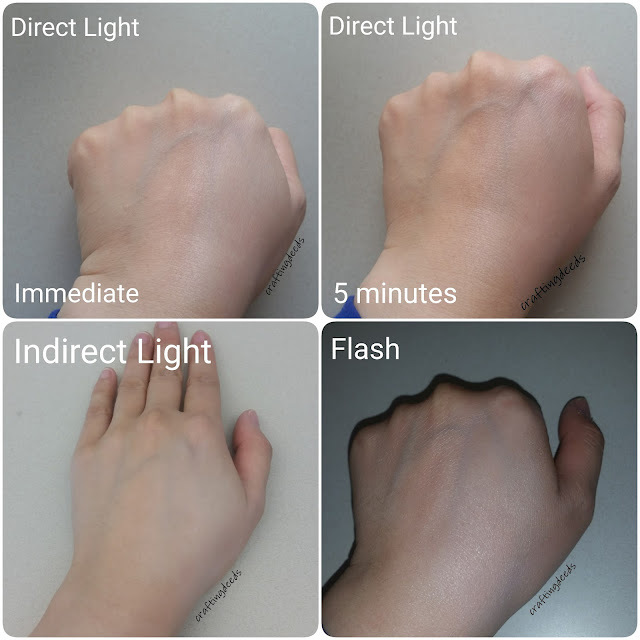 I put my super warm palm on the back of my hand and I can feel the difference immediately! 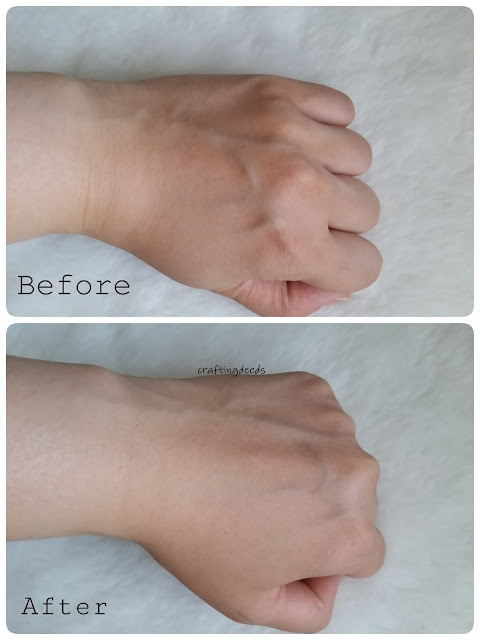 The swatched section feels much cooler than the unswatched area. 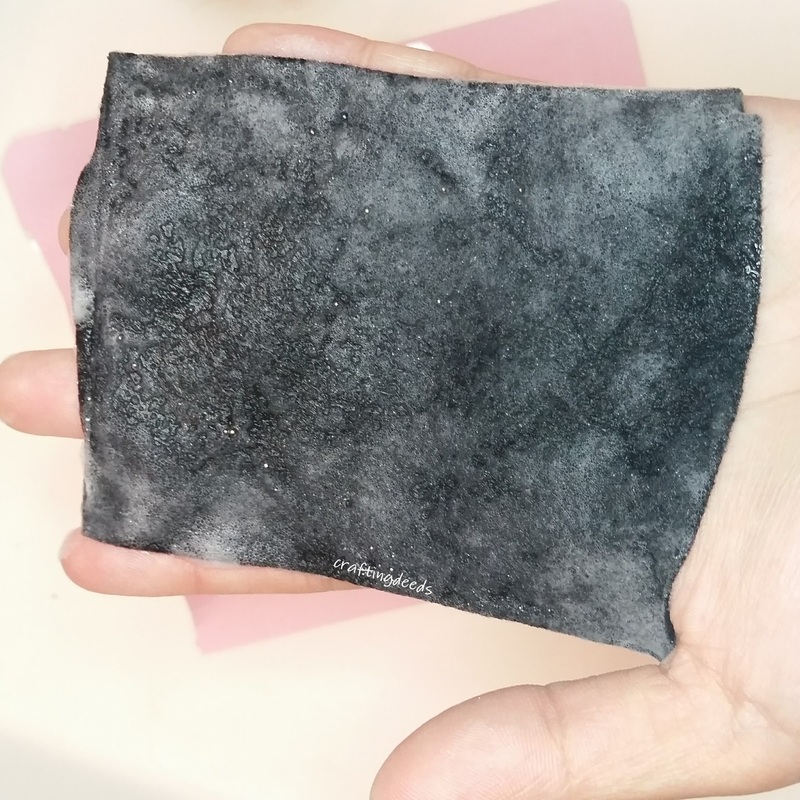 It also feels much softer and more moisturized as well!